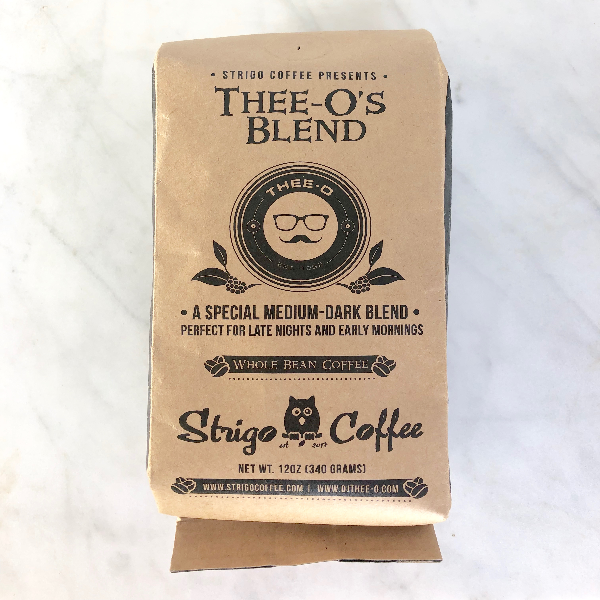 This coffee is a blend of beans from Brazil & Uganda, and it comes Strigo Coffee in Norwalk Connecticut. The coffee was a created as collaboration with the famous DJ Thee-O. It’s a neat blend of beans, as we don’t see too many coffees from Uganda. It was smooth as a pour over, and as an espresso it had a lot of chocolate and berry flavor. Many espresso blends, actually use Brazilian Coffee Beans in the blend, and this coffee produced a nice crema. It tasted a lot bolder and darker as an espresso vs. a pour over. This is a coffee blend that does goes well for late nights and early mornings, and is perfect as a pour over coffee. We typically rate blends higher, because we taste the coffee, instead of drinking the coffee. Therefore in a blend you catch a lot of flavors and transitions between the beans you don’t really find in single origin coffees. The flavors here were again chocolate and red berries, with a nice balance, making this a good coffee that would appeal to most coffee drinkers. Strigo is a new micro-craft roaster, so make sure to check them out. Special thanks to Strigo for the coffee, visit them at www.StrigoCoffee.com.